Set among the beautiful pines and dogwood trees, Palestine Texas is a graceful and romantic city where Victorian homes and bed & breakfasts are neighbors of modern hotels and restaurants. Large magnolia trees and white columns welcome you to this gateway of a bygone era. Over 1,800 historical sites grace Palestine Texas. Palestine is a charming Texas city, with the feel of the Deep South. The city offers a variety of restaurants, restored Victorian homes, parks filled with magnolia and dogwood trees, Texas State Railroad, museums, and numerous attractions. Old-fashioned wines made from blackberries and Muscatine grapes are the hallmark of Sweet Dreams Winery. Stop by the tasting room for a sample of one of their 14 wines (and counting), including Bumblebee Kiss and Summer Daze. Set a spell on the immense covered porch and enjoy the view of the vineyard and rose arbor. Visitors are allowed to take a self-guided tour to pet and feed the 200 animals occupying the 59 acres of this fenced-in natural environment. See a wide variety of animals, including camels, llamas, zebras and buffalo. Guided tours for groups of 20 or more are available. Petting zoo is available. Open daily, 9 a.m.–dusk; closed during inclement weather. Admission fee. Located 1.2 miles north of Grapeland on U.S. 287. You will never be bored at Dogwood Junction. Race Formula One-style go-karts on an 850-foot-long custom track. Test your putting skills on a nicely landscaped 18-hole "professional series" miniature golf course. And give your hand-eye coordination a workout in the 5000-square-foot arcade. Texas State Railroad State Historical Park is located in Anderson and Cherokee Counties, between the Cities of Palestine and Rusk. Passengers may board the historic trains at either Rusk or Palestine. Both ends of the line have turn-of-the-century style train stations. The trip takes 1 1/2 hours to reach the opposite station. The State Park's 50-mile, round-trip steam engine excursions take 4 hours. Polar Express - Running from Thanksgiving to Christmas every year. _University of Texas, Tyler. Residents of the Southwestern area of East Texas are able to take advantage of the excellent education provided by the University of Texas at Tyler from the Palestine Campus. Courses are currently offered in nursing, business, education, health and kinesiology, and history. _The Columbia Scientific Balloon Facility is a NASA facility that's responsible for launching large unmanned research balloons as high as 120,000 feet (about 2.5 miles). 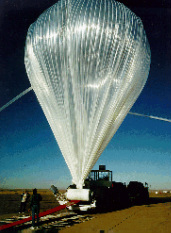 In addition, the facility tracks the scientific experiments attached to the balloons for NASA centers and universities worldwide. An old farm transformed into a beautiful garden retreat, the Elmwood Gardens offer an intimate setting to dine, relax or celebrate holidays, weddings, and other special events. The Elmwood Gardens is only 11 miles north of Palestine and offer indoor and outdoor facilities for your next event. An outstanding outdoor adventure awaits you at this popular park. Situated on 200 acres, the park is comprised of inviting forests, lush meadows, and soothing streams. Don't miss this park in March and April when the Dogwood Trees are in full bloom. Pack a lunch as there are plenty of picnic areas. And don't forget to check out the many eye-opening overlooks. Water action galore abounds at Lake Palestine. Bring your rod and reel as the bass, crappie, and catfish are jumping. Rent a pontoon, paddleboat, electric fun boat, kayak or canoe. Plus, there's water skiing and swimming. Taste up to 18 different wines and highly demanded "Sangria". From merlot to cabernet sauvignon to syrah, which are all made from Texas-grown grapes. Make a day of it with a meal in the open-air bistro where the pizza is beyond compare. Located just 19 miles from Palestine, Tennessee Colony, Texas is home to several prison units, including Coffield, Gurney, Powledge, Beto, and Michael. Take a trip back in time and visit the Howard House Museum to see Greek Revival style construction built in the mid 1880′s by Judge Reuben Reeves who then sold it to the Howard family in 1850. The museum has exhibits from the time and period furnishings that will transport you back to the time when things were a bit quieter and the pace slower. The museum has been designated a Texas Historical Landmark. The house remained in the Howard family until it was sold to the city in 1963.